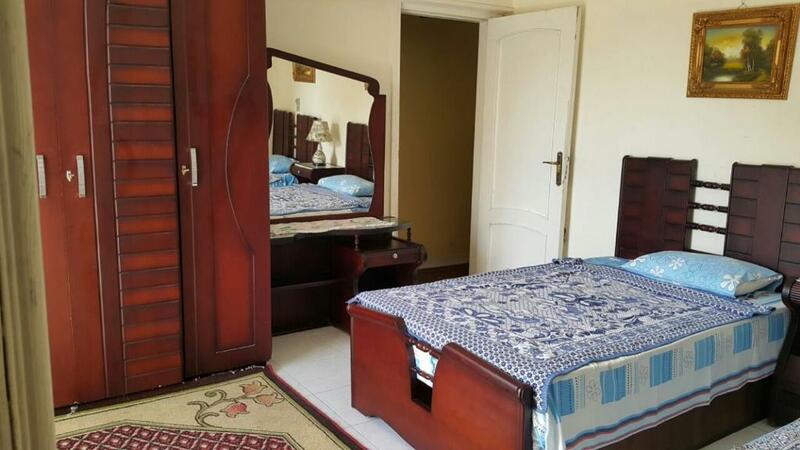 Located 3.4 miles from Alexandria Zoo and offering free WiFi, Apartments at Ibrahemia, Alexandria has accommodations in Alexandria. The accommodations feature a hot tub. 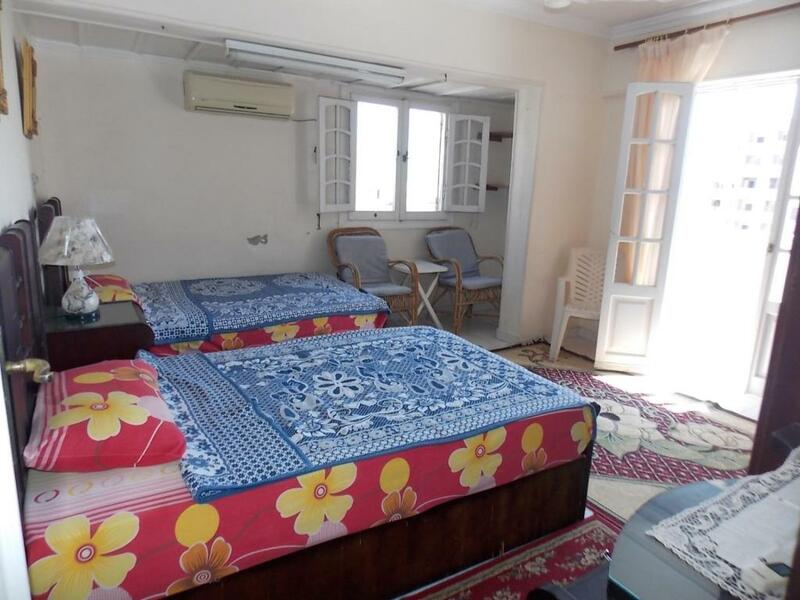 The accommodations come with a fully equipped kitchen with an oven, a TV and a private bathroom with bath and shower. There's also a microwave, toaster and an electric tea pot. Catacombs of Kom el Shoqafa is 4.2 miles from Apartments at Ibrahemia, Alexandria, while Alexandria Sporting Club is 1.3 miles from the property. 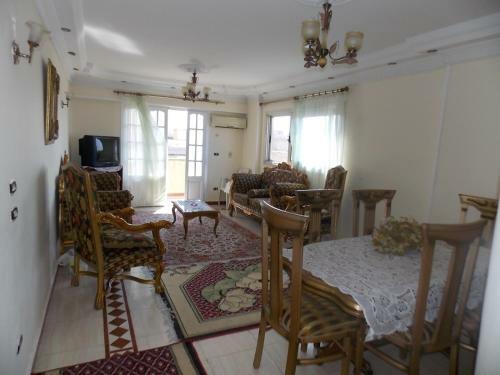 The nearest airport is Borg El Arab International Airport, 32 miles from the property. 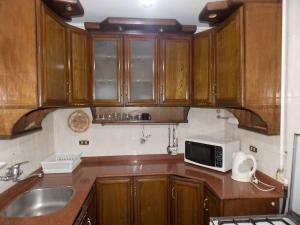 When would you like to stay at Apartments at Ibrahemia, Alexandria? This apartment has a microwave, oven and seating area. This apartment features a toaster, washing machine and tile/marble floor. 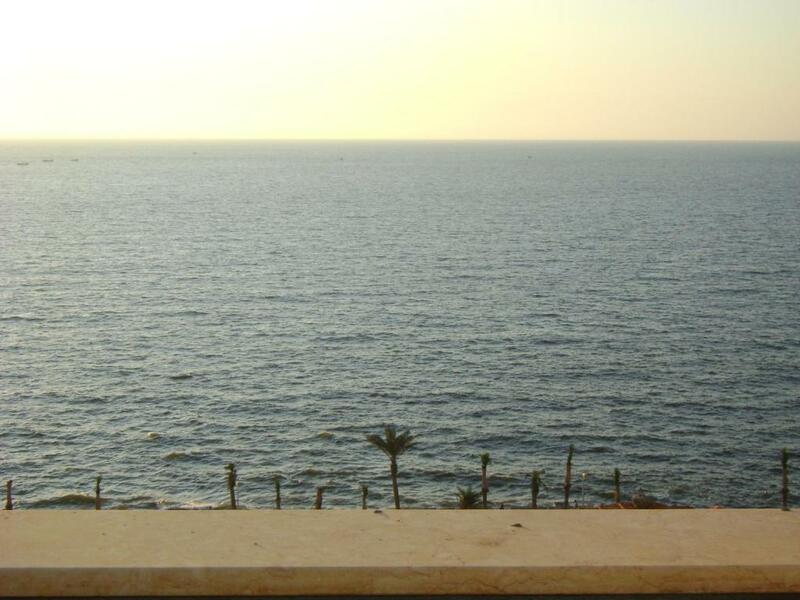 Luxurious Three Bed-Rooms Apartments located in the center of Alexandria in the prestigious area of Ibrahemia and it is situated along the coast with amazing Sea-View from the balcony and bed-rooms. Our apartments are comfy, cozy and clean. We have several apartments all in the same building that each apartment can sleep up to 6 or 8 people. For safety and taking care of, there is a strict security guard 24/7, and a doorman who can do grocery shopping for you. We are a family business and we live onsite to deliver to you the best possible service. It has all entertainment you want. 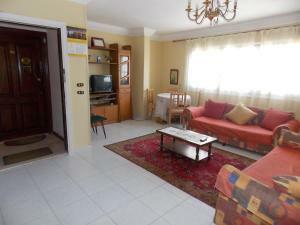 Near by are shopping malls, schools, cinemas, clubs, gardens, restaurants and theatres. Also beach is very close, and you can have a good swim, and enjoy in the sun. Bibliotheca Alexandrina is a great cultural center, 10 minutes walking from apartment. It's where you can attend concerts, theatres, go to library or enroll your children in any activity (children's library, music, summer vacation program, storytelling program ..etc). •Big shopping mall (Ibrahimya mall), pharmacy, hospital are 3 minutes walking distance. 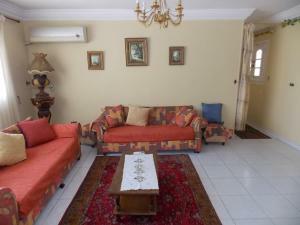 House Rules Apartments at Ibrahemia, Alexandria takes special requests – add in the next step! Apartments at Ibrahemia, Alexandria accepts these cards and reserves the right to temporarily hold an amount prior to arrival. 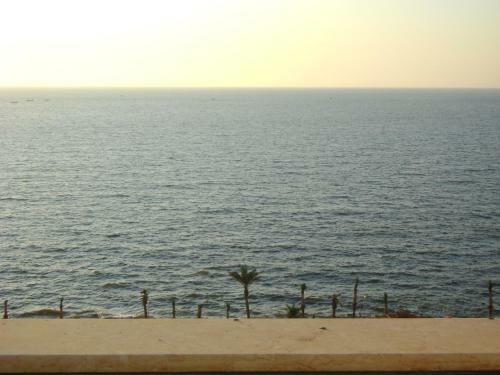 Please inform Apartments at Ibrahemia, Alexandria of your expected arrival time in advance. You can use the Special Requests box when booking, or contact the property directly using the contact details in your confirmation. We need at least 5 reviews before we can calculate a review score. 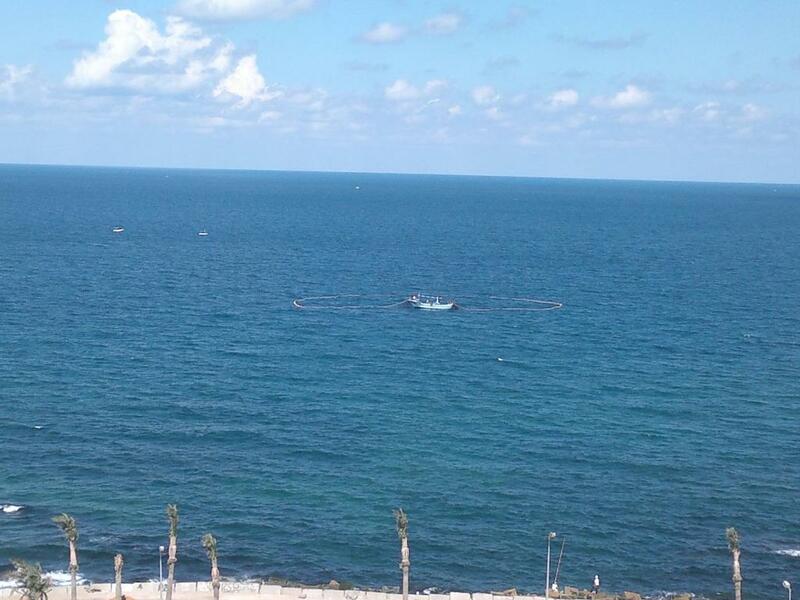 If you book and review your stay, you can help Apartments at Ibrahemia, Alexandria meet this goal. The furniture needs to be renewed with new amenities and little more cleaning. The master bedroom with a very small bathroom can’t be used. The apartment has everything you need like your own home and the landlord, Mdm Mervat also made us feel like home. She is easy to communicate with too. Highly recommended.